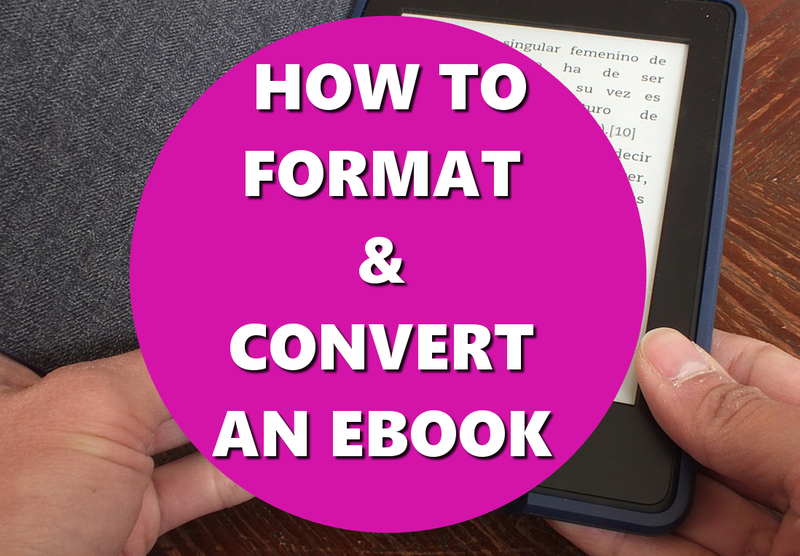 Why pay someone to format & convert your ebook when you can DIY? Here I will show you how easy it is to format & convert your book into an EPUB file for publishing via Google Docs or a similar program. If you are not using Google Docs, no worries—many of the commands are almost identical to other popular doc programs. You will still be able to get the gist of how to simplify the ebook formatting process. You have your rough draft written, and you are ready to start typing the final version in Google Docs. I've successfully published many ebooks using Google Docs and KDP. From my experience, the fastest and easiest way to format is to do it as you go. typed in its final version to format it, the process of inserting page breaks can throw the entire structure of your book completely off and do nothing but create more frustration for you. This article is written, under the assumption that you will take heed to my advice and format as you type the final draft. Now, this article is written specifically for Google Docs users, however, if you are using Microsoft Word, Open Office, Office Libre, etc., that is totally acceptable. The commands are essentially the same, in similar locations. If you know the program that you are working with well, then you should be able to follow this step-by-step process with no problems. Assuming that you are using Google Docs, let's begin! When writing and formatting an ebook, there are certain elements it should contain. Please keep in mind that these are only the basics. Now that you know the basic parts that make up a book, it's time to make sure they are where they need to be. Each part (title page, table of contents, dedication, etc.) all need to be on their own page. Let's start at the Title Page. Type your Title and hit enter. Now type "By" and add in your name or pseudonym and hit enter three - five times. You want to create a gap between the title and author info and the copyright disclaimer. Next, type your copyright disclaimer, do not hit enter. Instead, you will click "Insert," located on the document toolbar at the top of the page (you will see where it says File, Edit, View, Insert, Format, Tools, and so on). Once you click Insert, you will see a long menu appear with options, click "Page Break" (located toward the bottom of that list). You will notice immediately that the cursor jumps to a new blank page. You are now ready to create a clickable Table of Contents. After you have clicked Insert/Page Break from your Title/Copyright page, you will see that your cursor is on a new blank page, do not move it. Click "Insert" and select "Table of Contents" at the very bottom of the list. NOTE: You will see that you will have two options, a table of contents with numbers or one with "blue links." Select the one with blue links. This text will appear in a clear rectangular box "Add Headings (Format > Paragraph styles) and they will appear in your table of contents.". Do not type anything, just click outside of the box and then click Insert and then Page Break. As you write your book and title your chapters properly, I will show you how the table of contents automatically populates your chapter links. If you have chosen to dedicate your book to someone, here you will type your dedication. Once you finish, insert a page break directly after the last period of your last sentence, to bring you to a new blank page. Formatting your Chapter Headers/Titles is crucial if you want the table of contents to look and function correctly. Now that you are on the new blank page (from adding in your page break from the previous page -whether it was the table of contents or your dedication page), you need to look up toward the toolbar menu (File, Edit, View, Insert, etc.). Directly below them, you will notice another menu going across the top of your screen. This one has a printer icon, an undo and redo button, a zoom percentage, and then you will see a small area where it says "normal text." Click normal text and when the menu opens up, select Heading 1. You will do this for each chapter title. After you have typed the chapter title with the Heading 1, hit enter two or three times to begin typing the chapter. You will see that the Heading 1 selection automatically changes back to normal text. Once you have written the last sentence of the chapter, click insert and then page break, to bring you to a new blank page. Then start again by changing from normal text to Heading 1, typing your chapter title. Click enter the same amount of times you did in the first chapter. Keeping the structure uniform throughout the entire book is important. Continue this until the book is finished. Once you have reached the last sentence of your book, you will then click insert and then page break. On your new page, you will need to create your "About The Author" page (be sure to use Heading 1 for the title). If you wrote a book that requires a bibliography (such as a non-fiction piece), then you will need to insert one more page break after the last sentence of your "About The Author" Page. Format your bibliography page the same as you did your author page. Once your bibliography is complete, scroll all the way back up to your table of contents page. Click your cursor anywhere in the box, when you do this you will see a little refresh symbol pop up on the left corner of the box, click that refresh symbol. VOILA! If you formatted all of your titles/headers correctly, you should see them appear, in order, right before your eyes as blue hyperlinks! 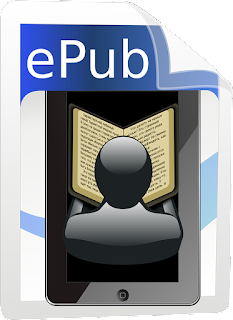 You are ready to convert your doc file into a .epub file! File conversion is the easiest part. Click File at the top of the page and scroll over Download As. A menu will pop out to the right side, select Epub Publication (.epub). A window will pop up and ask you where you would like to save your .epub file. Choose your location and click save. You are now ready to go onto your KDP account and upload your ebook. How to Make a Kindle Ebook Cover for Free—Without Photoshop Creating an eBook cover is much easier than you think. With the right tools and know-how, you can design a professional looking Kindle eBook cover very quickly at little to no cost.